Two "premium" restaurant operators could be coming to Brindleyplace after plans were submitted to convert one of the estate&apos;s buildings. Hines and Moorfield, the mixed-use estate&apos;s co-owners since summer 2010, have lodged plans to convert part of the ground floor of Three Brindleyplace from office accommodation into two separate restaurant units. No future occupiers are identified in the application documents but a planning statement says the "proposals would enable two premium restaurant operators to establish themselves". The statement, written by property consultancy GVA, says two units would be created, one either side of the main entrance foyer, which would total 9,028 sq ft including external space. They are currently occupied as offices but tenants would be re-housed in the building if the plans went ahead while the main entrance and atrium would remain unchanged. The planning statement added: "The restaurant units would be self-contained, rather than being accessed via the building&apos;s central atrium. "New full-height glazed entrances would replace the existing small windows which serve the office space. This would provide good visibility into the restaurant area. "The proposals would enable two premium restaurant operators to establish themselves in Brindleyplace thus providing a wider choice of high-quality dining venues for visitors to and residents of the estate and complementing the restaurants and cafés already present." The new restaurants would be going into battle against an already well-served Brindleyplace in terms of places to eat and drink with companies such as Costa, Caffè Nero, Slug and Lettuce, All Bar One, Bank and Piccolino all opening outlets there. However, Brindleyplace benefits from a high footfall both during the working week and at weekends and the arrival of hundreds of Deutsche Bank staff at nearby Five Brindleyplace can only benefit any new restaurants which open. 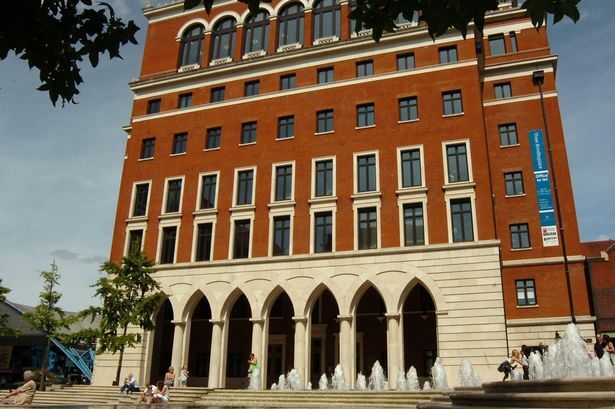 Completed in 1998, Three Brindleyplace overlooks Central Square and has seven storeys of office accommodation totalling 91,500 sq ft. Current occupiers include GVA, serviced office company i2 and professional services firm Towers Watson.